3 What About Modern Illuminati? 4 What Is Illuminati Conspiracy Theory? When you bring up the word Illuminati, you can be sure a discussion will ensue. There are those who believe in a plot by the Illuminati to take over the world and there are the other groups who don’t believe that this group exists at all. What is illuminati? The word Illuminati actually refers to a group of people who are enlightened spiritually and use their enlightenment to make claims about how they are using their spirituality. Though this concept began and was most popular in the 18th century, today there are still those who feel that they are part of this elite group of wise men. Founded in the 18th century, the Illuminati was a secret group of people who were influential free thinkers. It was formally known as the Bavarian Illuminati and it was completely against the control that the Roman Catholic Church had over science and philosophy. They also believed in the equality of woman and worked to help women further their educations. Their main purpose was to help relieve people from prejudice and superstitions; they also worked to eliminate oppression. Adam Weishaupt was the person behind the creation of the Illuminati. Weishaupt became the dean of the faculty of law in Bavaria at the University of Ingolstadt in the 1770s. The account of this mysterious group was acknowledged in New England and the Bavarian Illuminati, a nonfiction book published in 1918. Weishaupt was totally against what he called the “intolerance and bigotry” of the church which greatly influenced the University of Ingolstadt, the government and politics of Bavaria. As a result of his feelings about the church and the Jesuits, he decided there needed to be a secret bank of liberal-minded people who could deal with the "enemies of reason". Because he could not afford financially to join the Freemason lodges, he created the Order of the Illuminati on May 1, 1776. The group at that time was made up of just four people. The group grew rapidly increasing to more than 2,000 members from around the world. The growth was attributed to Baron Adolf Franz Friederich Knigge, an important diplomat from Germany. He reorganized the Illuminati in 1780 and drew the interest of many members of the Freemason lodges. There are currently groups that maintain they are from the original Bavarian organization and use the name Illuminati or other versions of it. The Ordo Templi Orientis incorporates Illuminati as one of the levels of their group. These modern day organizations have not exhibited any power politically and appear to try to remain mysterious to increase their membership. What Is Illuminati Conspiracy Theory? There are many conspiracy theories pertaining to the Illuminati that have remained uproven. While the popularity of this mysterious club has shown itself in websites, novels, movies, and video games, the fact that they are to blame for any world wars or even the Great Depression are all false. They have been linked to the New World Order which believes in a single world government, financial system and religion. Some people believe that the Illuminati are hiding behind the New World Order carrying out their deeds behind the scenes. Even some entertainers are prolonging the mystery as they incorporate specific symbols into their shows to keep the speculation going. Speculation is that there are many multinational groups listening to the New World Order and it won’t be long before it adheres to a socialist one-religion, one-economy world. Many celebrities are keeping the myth alive through various means and even presenting certain symbols into their act to appear as being part of the Illuminati. Here are five celebrities who have alluded to this fact. Many people think he may be at the top of the Illuminati chain. The symbol of his Roc-A-Fella Records company is the pyramid which is supposed to refer to the pecking order of the Illuminati. 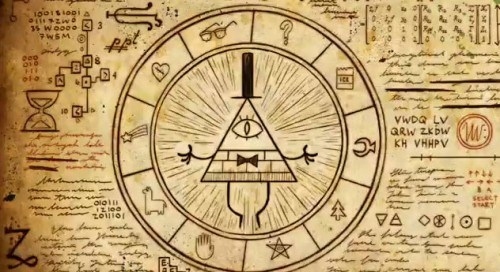 He has also incorporated symbolism that refers to Freemasonry in his videos. Jay Z isn’t alone in alluding to being part of the Illuminati, his wife, Beyonce, has also given some symbols as well. She has worn a dress with a goat skull on it and held up the Illuminati symbol during her halftime performance at the 2013 Super Bowl performance. Always controversial, Lady Gaga created a goat head formation in her video for Born this Way. She has admitted to adding in a ritual based on the Illuminati into a few of her shows after she dreamt about it. Some people are so suspicious of this group that they believe this top athlete made a pact with the devil. He also created the triangle sign with his hands and added a picture to Instagram where he was wearing a T-shirt that had triangles with eyes in them.